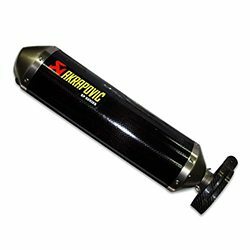 Akrapovič Evolution exhaust systems are designed for riders who demand maximum performance from their motorcycle. 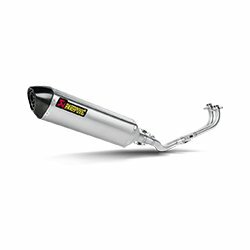 Systems are significantly lighter if compared to stock exhaust system and feature exceptional production quality, hi-tech materials and increased engine performance combined with pure racing sound output. 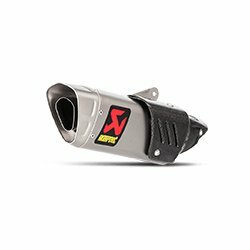 Riders who want to get more out of their SMR should look no farther than the Akrapovic Evolution exhaust system. The systems offer increased performance, lower weight and an interesting styling enhancement. 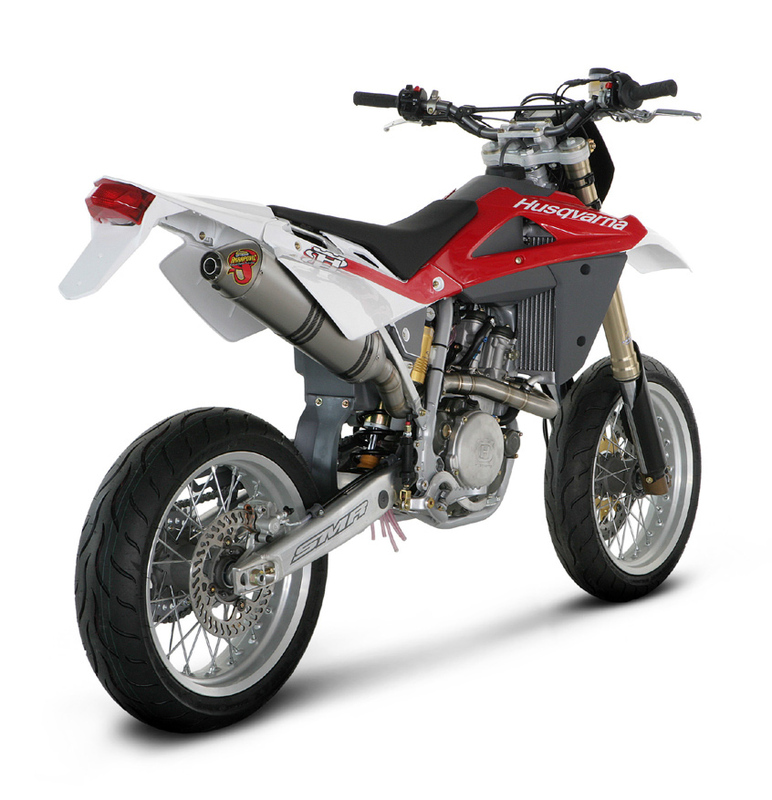 The systems include a noise damper for the European and other non-American markets, and an approved spark arrester for the US market, which is marked on the muffler with a laser engraving. 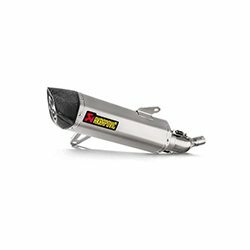 Product meets the USAD Forest service Standard for spark arresters FS5100-1. 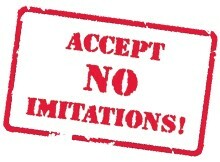 FOR CLOSED COURSE COMPETITION USE ONLY. NOT INTENDED FOR STREET USE. 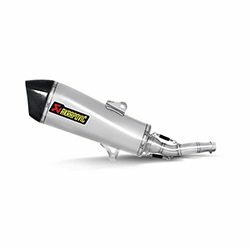 Riders who want to get more out of their SMR should look no farther than the Akrapovic Racing or Evolution exhaust system. The systems offer increased performance, lower weight and an interesting styling enhancement. 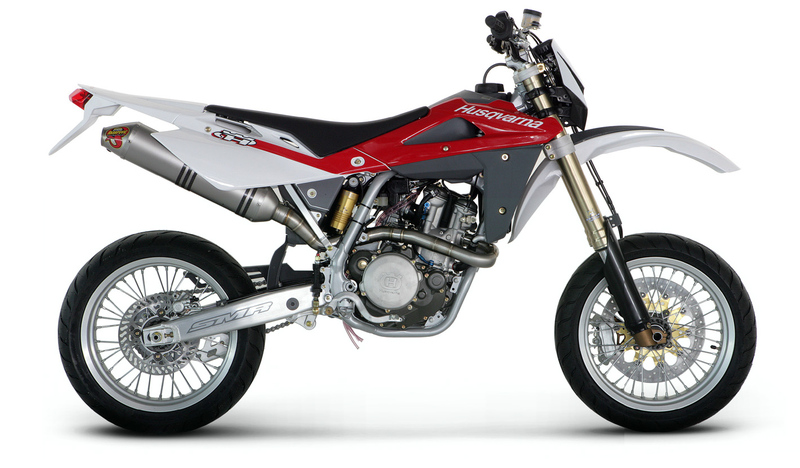 The systems include a noise damper for the European and other non-American markets, and an approved spark arrester for the US market, which is marked on the muffler with a laser engraving. 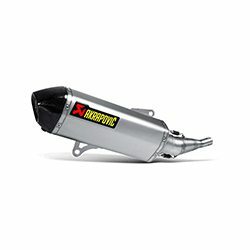 Power & Torque: the system provides an increase throughout the entire rpm range. 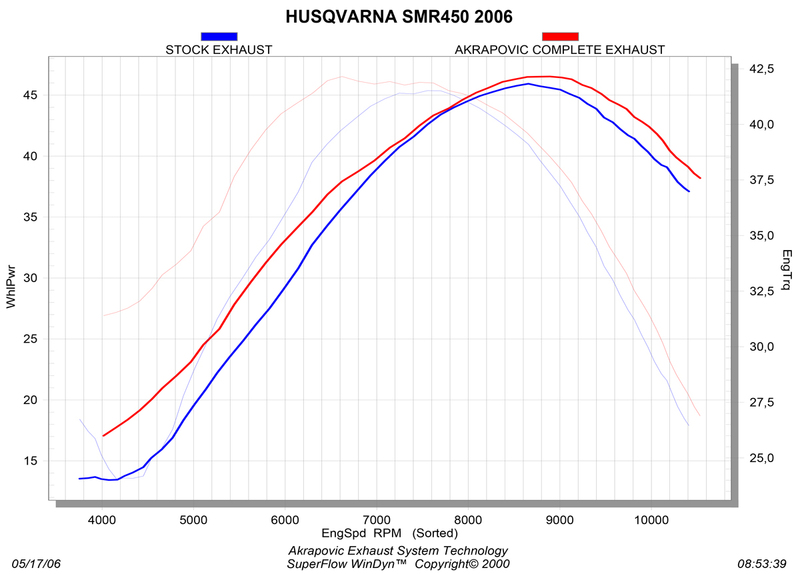 The boost is especially noticeable around 4000 rpm, where the dropouts in the stock power and torque curves are filled. Max. increased power of 4.2 HP is measured at 4400 rpm. The system is configured 2-1 using a combination of stainless steel and titanium. The dual conical titanium header tubes are joined into one and led into a titanium link pipe. The link pipe then leads into the titanium muffler. The connections are sleeve joints held together with silicon-shielded tensioning springs. 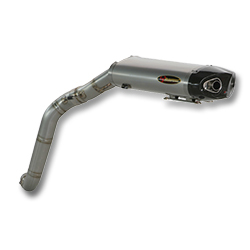 The muffler outer sleeve is titanium, as are the inner perforation and the inlet and outlet cap. 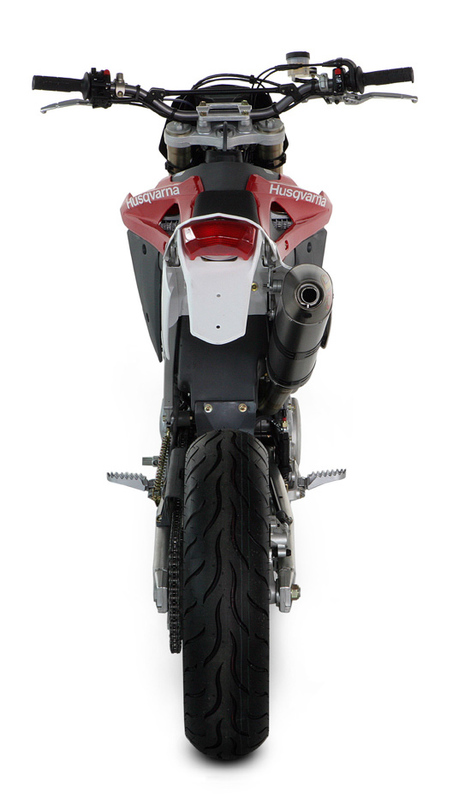 The muffler is attached to the frame using two carbon-fiber clamps. 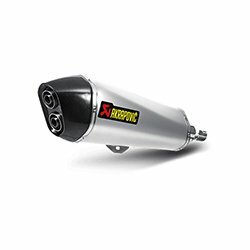 The system includes a noise damper for the European and other non-American markets, and an approved spark arrester for the US market, which is marked on the muffler with a laser engraving.